Valid8Pro | Multi-Factor Authentication System | Pyramid Cyber Security & Forensic Pvt. Ltd. 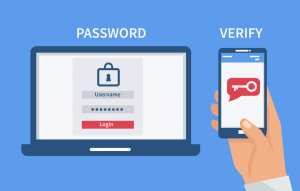 In today’s world of increasing digital crime and internet fraud, security of online systems and their access is critically important, however, traditional modes like passwords and captchas are not enough. Hackers are using an alarming variety of attacks like phishing, brute force, web app attacks, the point of sale intrusions etc., to steal passwords and wreak serious havoc. According to reports, around 75% of breaches leverage stolen or weak passwords – this is not surprising since standard security procedures usually require a simple username and password making it increasingly easy for criminals to breach systems and gain unauthorized access to data and critical systems. Users tend to make it easy for criminal hackers, by indulging in practices like weak passwords, using the same password across multiple applications or keeping the same password for long periods. These practices may help them remember their logins, but they invite hackers in through the front door. Valid8Pro multi-factor authentication system provides the required additional layer of protection to address such weaknesses. Valid8Pro helps mitigate the ripple effect of compromised credentials, by requiring additional evidence that you are who you say you are. Bolster security for every enterprise user (internal and external) and privileged users. Protect applications across your complete IT infrastructure whether cloud or on-prem. Adaptive MFA provides secure, easy and quick setup bringing a convenient cost-effective security solution to your users. Valid8pro integrated identify platform eliminates security gaps with one consistent set of authentication policies, reduces the complexity of secure access across the network. Flexible and convenient, Valid8pro MFA integrates seamlessly with existing technology investments – your applications and appliances and end-user smartphone platforms. Easily meet federal and industry regulations, such as PCI DSS and HIPAA, requiring mandatory strong authentication. Valid8pro leverages the cloud to rapidly scale as your user base grows; with no hardware to deploy and manage, and self-service user enrolment to reduce administrative burden. Valid8pro technology-friendly features include – rich user analytics tools, statistics, and reports, customization as per your requirements.